These pictures came out darker than I thought. Apparently I took them at the time of day when my eyes register more light than my camera. These three houses were mostly boarded up from the inside, so I didn’t notice that they had been vacated. They are on Denver Ave., just off of Rosa Parks Way. They are the type of house I love: small house, bigger lot. 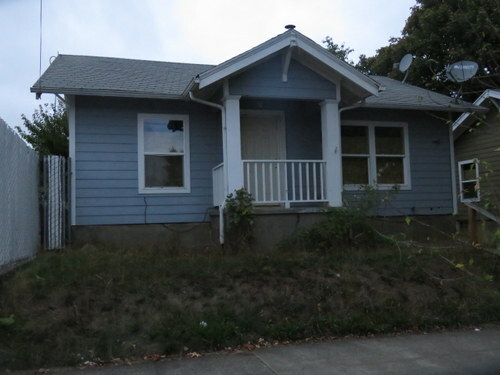 North Portland had a ton of these houses when I moved here in 2007. There are fewer now. And soon there will be three fewer. Portland Maps shows an interesting situation for these houses. Two of them are on the same lot (6541 N. Denver) and the lot seems to extend into the third house, though it has it’s own address (6525 N. Denver). The middle house is not shown as having an address, both on Portland Maps and on Google Maps. However, the information on Portland Maps shows square footage for all three houses in the 6541 N. Denver record and there’s no information on the third house in the 6525 N. Denver record, So I’m assuming all three houses are included on one lot. The lot was last sold in 1977 for $58,500. According to an inflation calculator, that’s about $231,000 of today’s dollars. 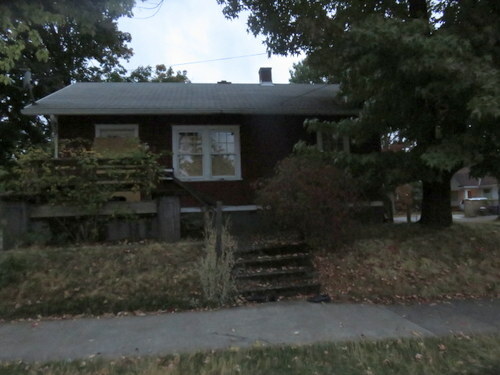 I’m unclear if that $58k price reflects that it has three houses on it. In June, this lot sold for [and here I must interject via brackets that the number I’m about to type makes me literally nauseous] $1.6 million. By dividing $1.6m four ways, that roughly pencils out to $400,000 per lot. Four hundred thousand dollars for just the land. That’s before the demo. And that, friends, is why we have a homelessness problem in Portland. Fun fact, I first noticed these houses had been boarded up when I saw one of our neighborhood homeless residents sleeping on the porch of the red house. Onto the houses. This guy is 600 square feet, with a full basement. It’s the corner lot and has a nice big backyard. This house is 720 square feet with a full basement. The assessment also includes 500 square feet of concrete which you see in the picture. It serves as the driveway for both houses. This is my favorite house of the three, though I think it has the smaller yard. This house is 720 square feet with a full basement. It is right next to the former recycling center. The records don’t say, but I’m guessing houses 2 and 3 were built by the same builder. They look very much the same. There’s a good chance house the first house was built then too. They have a lot of the same lines. The record on Portland Maps only lists 1922 as a build date and it doesn’t specify if that year applies to all three houses. Either way, I will miss their presence. Here’s a side view of where the recycling center used to be. 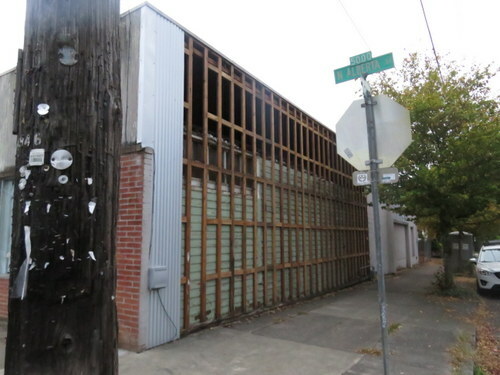 Portland Maps says this garage (it probably was one before it was the recycling center) was built in 1950. I can’t tell if this property was owned by the same person who owned the houses, but my guess is yes. If so, that person made a tidy profit on this sale. The recycling center (Far West Fibers) closed soon after China stopped taking plastic from the USA, citing too much contamination. It was too bad, as this was a handy place for me to drop off the plastic that couldn’t be recycled curbside. Bonus picture! The property at 1936 NE Alberta. 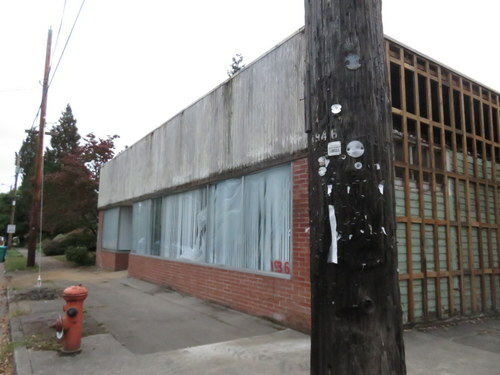 It’s a bit of office/shop space in the middle of a residential neighborhood. These are always a fun find for me. They are almost never shops or offices anymore, as our shopping patterns have changed enough that they are not viable as neighborhood shops. Today, though, I was even more excited to find this detail. 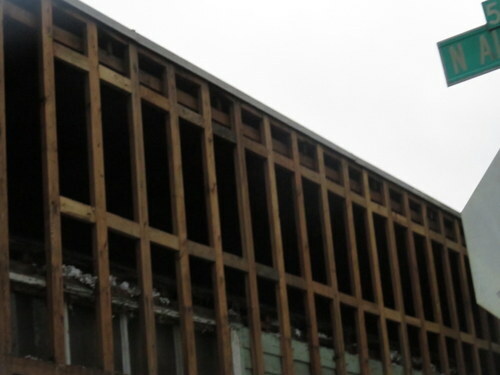 Exposed: the previous shell of the building. It looks like sometime–I’m guessing mid-twentieth century–this building was revitalized to make it more modern. The sides were built out to make the structure more box-like and the brick was added. If it weren’t a little too dark, you could see the former slanted roof which has been covered by the more modern flat roof. 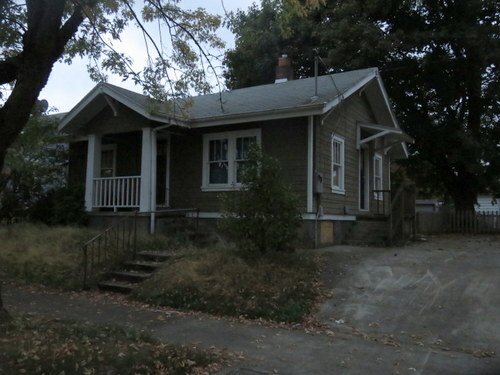 Despite its office-looking appearance, Portland Maps lists this as a single family residential building. It was bought in 1994 for $135,000 (about $236k today) and was sold in 2017 for $695,000. The owners live on site, so I’m not sure what their plan is. Live in it? Demo and rebuild? It’s a big enough lot they could. 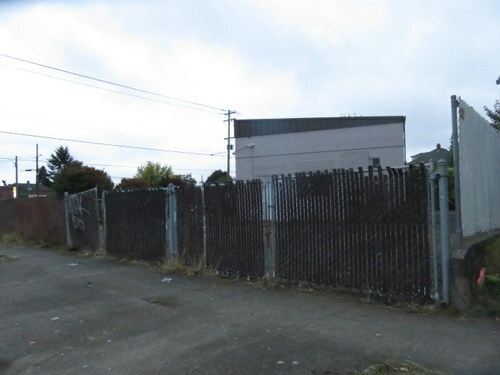 There’s nothing on Next Portland’s development map, so we shall have to see. Either way, I’m glad I got a chance to peek at what was there before. 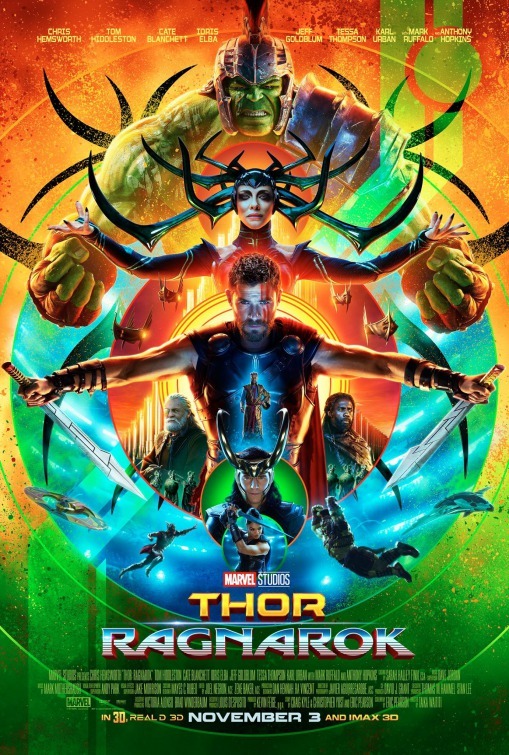 Where have the three sentence movie reviews gone? Exciting news! 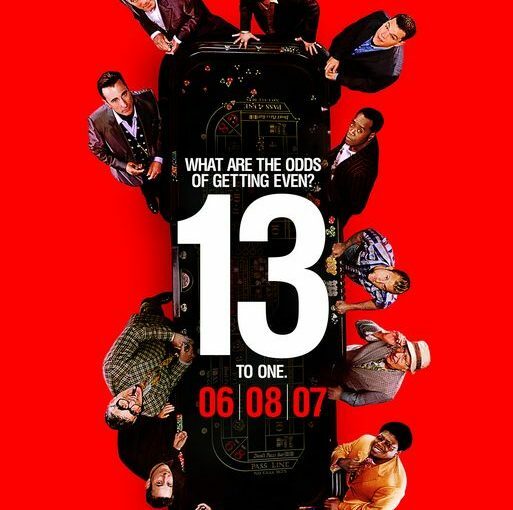 The three sentence movie reviews I’ve been writing since 2008 (all 1000+ of them) now have their own site. 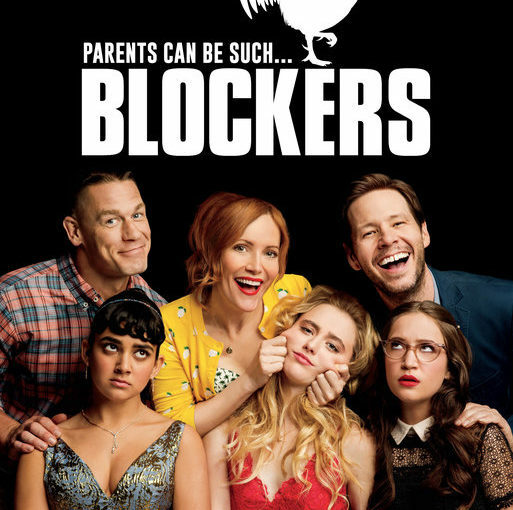 You can read already published three sentence movie reviews on this site without ads. They are also available on the new site. 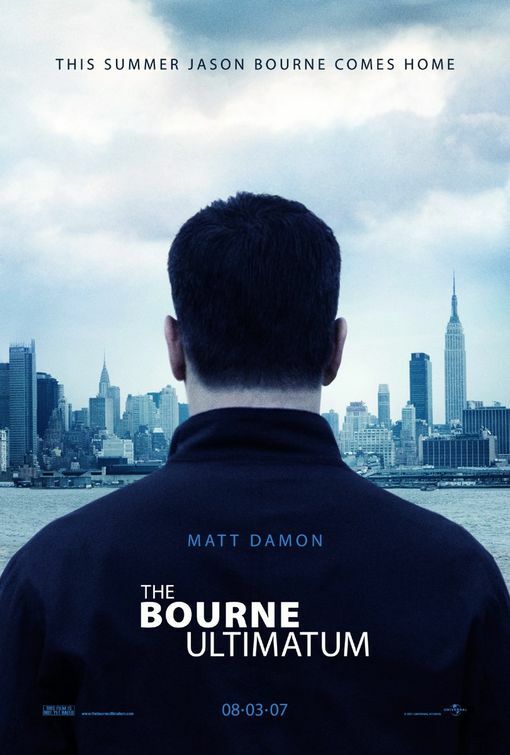 Posted on October 1, 2018 November 2, 2018 Categories All (-ish), Three Sentence Movie ReviewsTags three sentence movies3 Comments on Where have the three sentence movie reviews gone? Where watched: McMenamins St. Johns Theater with Matt, who is an Anna Kendrik fan. 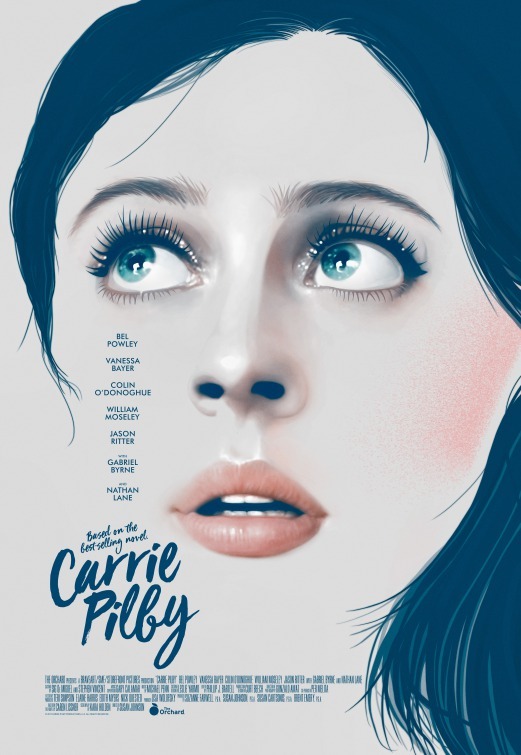 *This film is more evidence of my hypothesis: Paul Fieg is the best white male director for stories about women. For me, it’s the most forgettable Ocean’s movie* but that doesn’t really matter because it’s another opportunity to hang around with the crew. Though lacking in both Julia Roberts and Catherine Zeta-Jones, Ellen Barkin does some great work. And there’s that funny bit with Linus’ nose. *Unlike the other two movies, I remembered nothing about the plot. 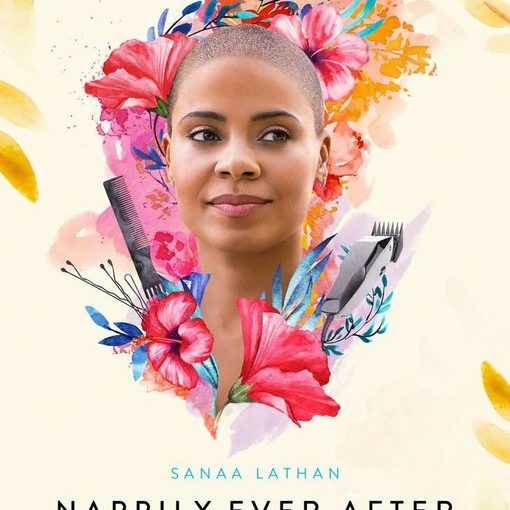 In this movie, Sanaa Lathan is mesmerizing in all her various stages of hair, but never more so as she drunkenly shaves her head. 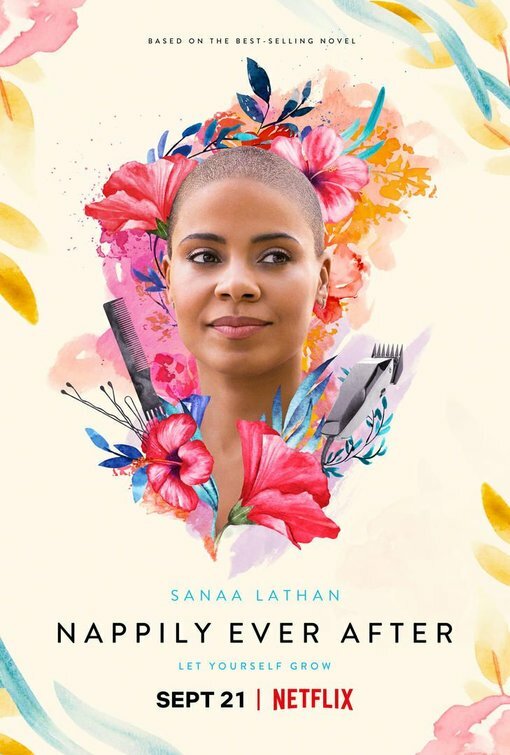 Hair is the framework for a reinvention of a life not quite fully lived, and it’s great to see Lathan’s self discovery along the way. 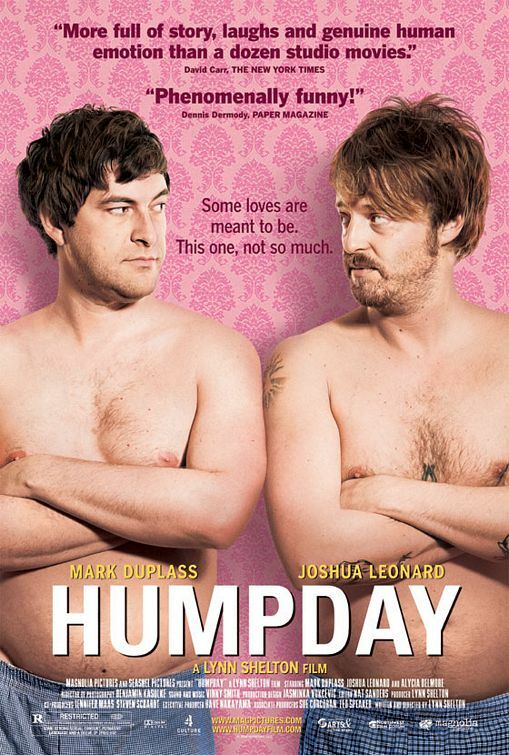 This is another romantic comedy that tilts more toward empowerment than happily ever after, a tilt I heartily endorse. 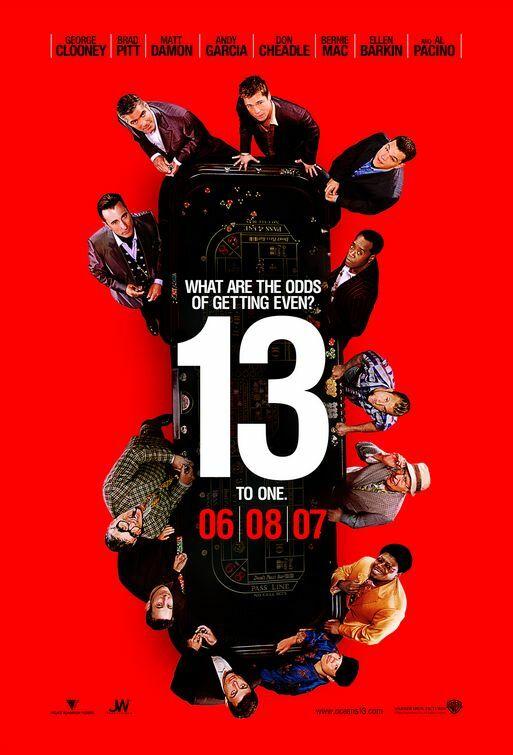 I enjoy a good movie that explores class, and if you throw in one that also examines “friendship” between the help and their employers, all the better. But alas, this movie didn’t give me many places latch on and really care; people were interesting (or abhorrent) but so what? It also had one of those endings that is supposed to be all art-y and deep, but really felt like they hadn’t really figured out how to end the movie. 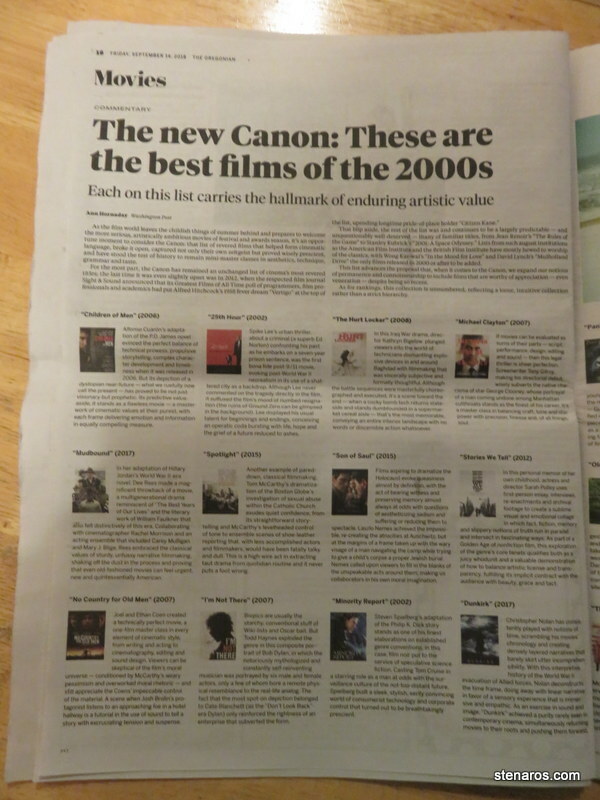 Ann Hornaday’s Best Films of the 2000s. How many have I seen.? 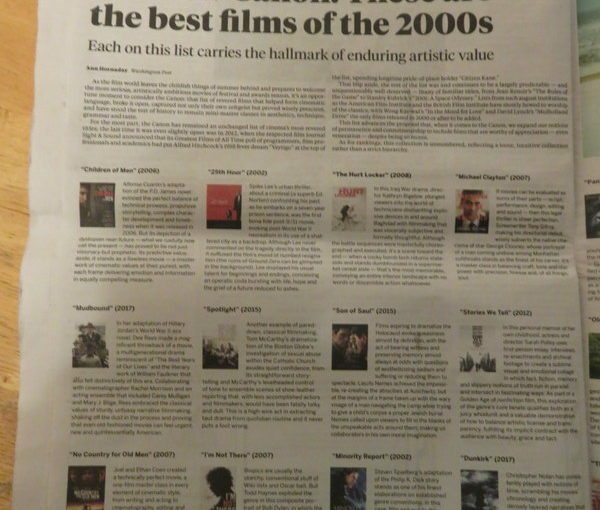 Ann Hornaday from the Washington Post has proposed a list of the best 23 films of the 2000s. Let’s see which ones I’ve seen. Pan’s Labyrinth–this movie has weirded me out for years. The Fog of War–I’m sure this is a great documentary, but there just aren’t very many documentaries in my life. *People would probably put Spotlight on this list, but it’s such a quality film, I think that overcomes the difficult subject matter. 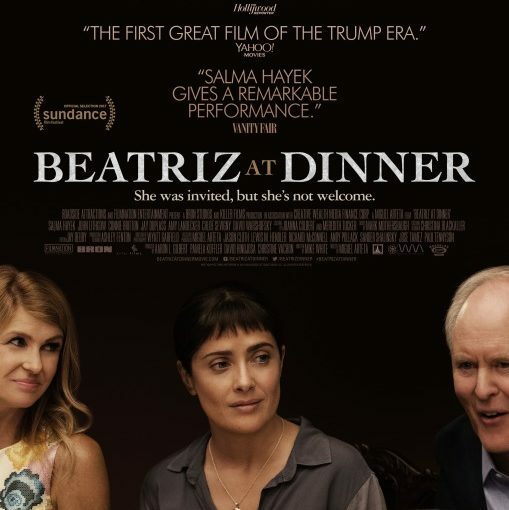 Posted on September 14, 2018 October 1, 2018 Categories All (-ish), Three Sentence Movie ReviewsTags three sentence moviesLeave a comment on Ann Hornaday’s Best Films of the 2000s. How many have I seen.? 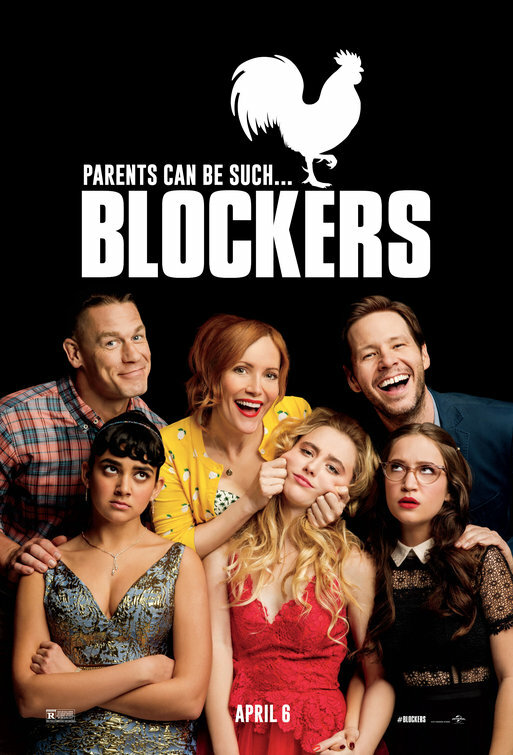 *The recent comic turns by John Cena, (Blockers, Trainwreck) Dwane Johnson, (Central Intelligence) and Chris Hemsworth, (Ghostbusters, Thor: Ragnarok) have me thinking we could populate a hilarious comedy using only guys who can’t buy their shirts off the rack. When I discovered Anna Faris a few years back, more than one person mentioned they liked her in this film, which was a film that was not in the holdings of the Multnomah County Library. Now that I have access to movies via my TV, I could see Ms. Faris’s performance. 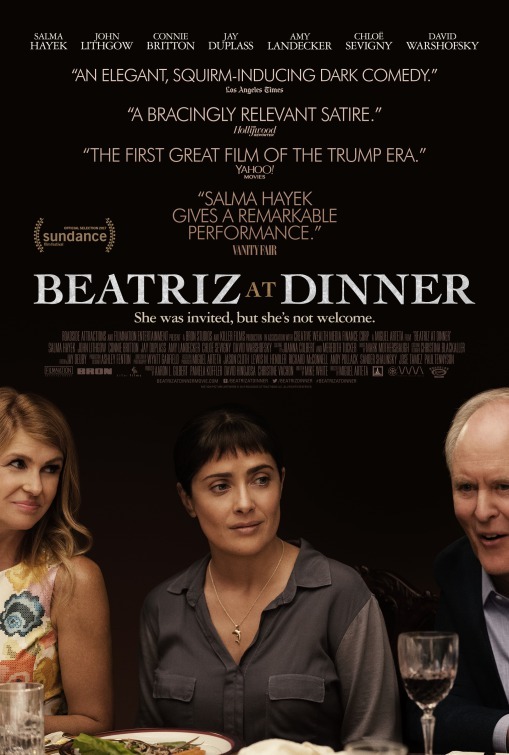 She, as usual, had great comic timing, although the Happy Madison production company tends to produce films that are not to my tastes; this was no exception to that rule. Where watched: at home, movie four of four while recovering from a migraine. Of note: the four movies I watched were all via different movie delivery methods: streaming via Hoopla, DVD from library, Netflix, rented via Google Play.